Writing a teaching philosophy is an opportunity to impress as well as reflect on your practice. Being an academic requires us to respond to expectations for which we have little or no preparation, such as how to teach large classes or how to assess student work. Admittedly, more resources, like the ACUE program, are now available to help academics become more accomplished instructors. Yet, some expectations for career advancement remain vague and fraught with uncertainty. A typical example is the expectation that both graduate students on the job market and faculty seeking career advancement submit a teaching philosophy. Yet many are unclear about what a teaching philosophy is, why they should write it, and how to craft such a document. Below, I seek to provide some clarity by sharing some guidance for those writing a teaching philosophy for the first time and those revamping a previous draft. What is a teaching philosophy? A teaching philosophy is a 1- to 2-page document that describes your teaching values, goals, methods, and assessments of those goals. In addition, given the increasing diversity in our classrooms, a teaching philosophy may also convey how you create an inclusive learning environment. Why write a teaching philosophy? First of all, several external audiences are interested in how you view yourself as an instructor. They may care particularly about how reflective you are, how you think and talk about teaching your discipline, and how you describe your work with the diverse students in your class. Another external audience could be your students. You could include a teaching philosophy on your website or on your syllabus to give students an insight into the larger goals and values that inform your classroom practices. A second and even more important audience is you. Writing a teaching philosophy is an opportunity to stop, think, and reflect on what you are doing in the classroom and why you are doing it. For some, this may be the first time you articulate in writing what is really important to you as an instructor. As you write a teaching philosophy, you may find it difficult to sort out the values that inform your responses, your instinctive reactions, and the decisions you have made about how to conduct your class. This is where reflecting on your teaching practice may be especially helpful in articulating and aligning your core values with your teaching goals, methods, and assessments. You are uncovering, analyzing, maybe even questioning, as well as affirming practices that are central to your vision as an instructor and need to be included in your philosophy. What are some helpful steps in generating your teaching philosophy? • What does it mean to be a college or university instructor? • Why do I care about it? • What do I know about university teaching? • What do I want others to know about my teaching? It may surprise you how quickly you can describe some of your core values and practices in this brief exercise. Next, go online and find some rubrics that others have created for feedback on teaching philosophies. The University of Michigan rubric has a series of questions that may stimulate your thinking about what is appropriate to cover in a teaching philosophy. Similarly, the University of Minnesota has several examples of teaching philosophy statements online. Use these resources to stimulate, not dictate, your thinking. Finally, and most importantly, writing a teaching philosophy is a marvelous opportunity to reflect on your teaching practice. Reflection on practice improves practice. You may find that what you do in the classroom may be a carryover from practices you have observed but never critiqued. By writing a teaching philosophy, you can align and articulate more clearly what is important to you in the classroom. In addition, writing a teaching philosophy builds a deeper understanding about your teaching practice as well as your own distinct vocabulary about your teaching. Thus, writing a teaching philosophy makes it easier to convey to others your insight and expertise as a thoughtful and caring instructor. Lortie, D. C. (1975). Schoolteacher: A sociological study. Chicago, IL: University of Chicago Press. 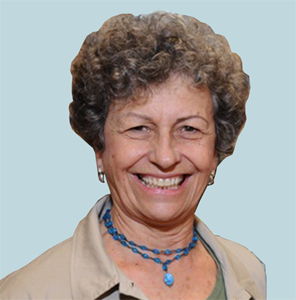 Dannelle D. Stevens, professor emerita at Portland State University, Oregon, received her doctorate in educational psychology from Michigan State University. She is the coauthor of four books. For the past 5 years, she has been the Portland State faculty-in-residence for academic writing, where she initiated the highly successful Jumpstart Faculty Writing Program. Her fifth book, Write More, Publish More, Stress Less! Five Key Principles for a Creative and Sustainable Scholarly Practice is forthcoming in 2018.